Don Ledbetter has practiced law in Texas for over 30 years. 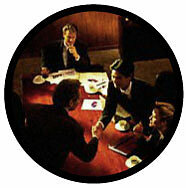 His areas of expertise are commercial real estate, real estate finance, and banking regulations. Don W. Ledbetter, P.L.L.C. was created in May, 1996. The firm primarily is engaged in the production of real estate legal documents for both permanent residential and construction loans. Prior to starting his own firm, Don was a partner with a major Texas real estate law firm for thirteen years. This was preceded by Don's capacity as Council of a major Dallas financial institution. John "Chris" Roberts joined the firm in 1999. Chris came to the firm after spending several years in the title industry. His training and background are also in the area of real estate law. The support staff includes Jay Owens, with over 35 years of experience in the mortgage lending industry and Kathey McDaniel, who has over 23 years of experience in preparing legal documents. Neither Jay nor Kathey are licensed to practice law. For additional information please contact us at 972.733.1080 or click here.